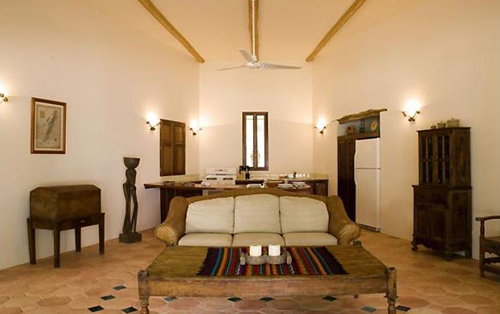 La Perla captures the Caribbean ambience of Belize with elegance and luxury. 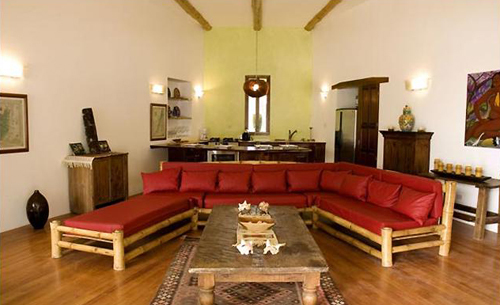 Each privately owned villa is distinctively designed with a Mediterranean-style architectural aesthetic that is unique in Belize, and each villa’s individual finishes have been customized to the tastes of the respective owners. The twelve homes are situated on a 4.5 acre site which slopes gently to the water’s edge and features a postcard perfect stretch of sandy beach. The property also benefits from a large tropical pool and a 350 foot pier. With a handful of articulate and helpful concierge staff, you will enjoy all the benefits of a private villa vacation but with all the on-call resort style services you require. La Perla offers the best of both worlds – the benefits of a luxury private villa vacation combined with the services and amenities of a full service resort. Bottled water, coffee, sugar, creamer and ice. 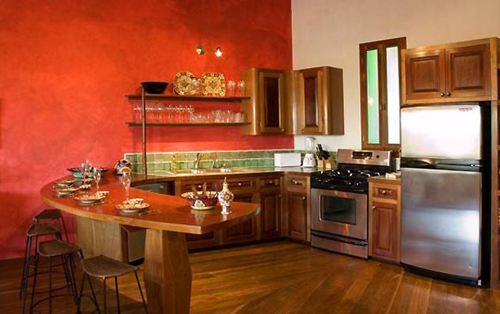 The villas at La Perla all have well equipped gourmet kitchens and ample indoor and outdoor dining space, so are perfect places for dining in or having a private chef come and do all the work for you. 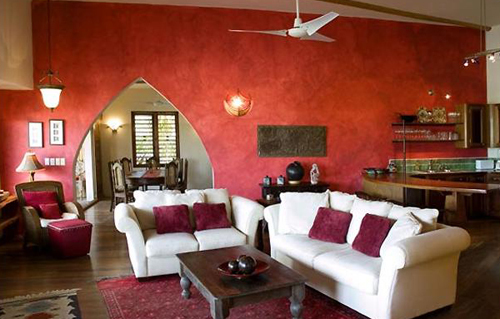 La Perla concierge works with various private chefs, offering differing styles of cuisine and formality. Whether a Belizean banquet, a fresh fish BBQ or a gourmet international chef’s table, it can all be arranged. A short walk north is the picturesque Portofino Resort – the alfresco restaurant has a beautiful setting and serves an international menu, including plenty of fresh seafood. Portofino is open for breakfast, brunch, lunch and dinner. Best to book for larger groups. 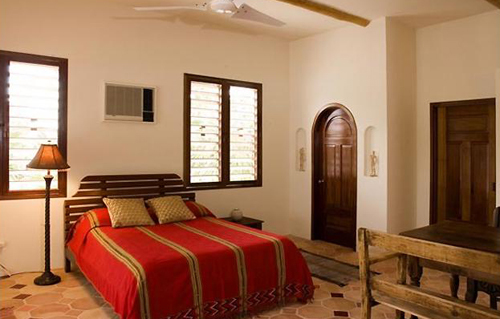 A ten minute walk to the south takes you to Mata Chica boutique resort. The award winning Mambo restaurant is set under a giant palapa roof and serves contemporary dishes, freshly caught seafood and a variety of homemade pastas and breads – Mambo is open for breakfast, lunch and dinner. AB loves the relaxed and friendly vibe in the bar, so leave enough time to sample the cocktails before you sit down for dinner. The dining room is filled with contemporary paintings, candelabras, local ceramic treasures, exotic hand crafted Belizean art and Central American mahogany furniture. Carry on south from Mata Chica for another couple of minutes to the multi award winning Rojo Lounge, a hip and exclusive loungey spot that has won Fodor’s Choice in Belize 5 years running. Chef and Owner Jeff Spiegel’s ‘tropical lounge cuisine’ is possibly the most innovative and creative on the island, perhaps even all of Belize. San Pedro town, a 20 minute boat ride away, boats a plethora of eating establishments, from local shacks selling delicious seafood burritos, to modern international fare set in picturesque surroundings on the beach. La Perla Resort usually requires a 5 night minimum stay, and 7 nights during Peak season, however, exceptions may be made based on availability.